Spam rock* with #RDR2MousePic to convince them to drop at least a simple picture of a mouse. They can give us Some info crumbs, can't they? I guess August is the month they really gave us a guide book this month hahahahah!! Man! Guess it's something, but what's left to show after the gameplay trailer do they usually show screens and other things like that or is the gameplay going to be it? Ya it's so true, RDR 2 is a once in a lifetime experience compared to companies like EA, Activision and Ubisoft that are pumping out the same content every year with no innovation. RDR 2 will be recognized as one of the best games ever made and has a much longer lifespan than most games. The sales of RDR 2 will accumulate like crazy over the years like GTA 5. We're in it for the long run. We need some John and Sadie artwork! 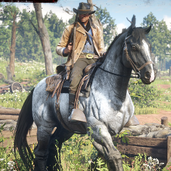 I wonder if R* is going to consider a X or Ps4 pro bundle for RDR2 or maybe even prizing a custom version from the newswire. And Micah Bell.. he's badass. You know what would be awesome, but will never happen ? One artwork a week of all the main gang members leading up to release. 2 bags one for the plug one for the load. I wonder if we will get concept art or environment art. I also wonder if we can craft stuff and upgrade such things such as holsters, ammo pouches so we can store more. I imagine weapon customisations will be like GTA V where we can get paint jobs and extended barrels etc. I also wonder if we can customise bandana colours, cloak or whatever Arthur is wearing during shootouts. It will be interesting and I wonder where our save point will be etc. Really small but interested to see how it plays out. Just read playstation UK magazine and I was really excited to see they included the new screenshots. Looks damn fine. So frickin excited. And I wonder how many missions we will have. And how long these will take etc. Long post but so excited! The Art of Red Dead Redemption II ... I can't wait! Where is your pfp from? Is that a screenshot that I just haven’t seen? Basic crafting is confirmed. I hope for 75 story missions. Omg, Red Dead Redemption 2 confirmed fight with Hugh jackman Wolverine....NICE. Also who says Cochinay didn't exist before 1906??? Just because Dutch settled there in that year doesn't mean that area didn't exist before 1906. Oh, I'm counting on it existing before 1906. But it won't be Cochinay. 1. Cochinay is an actual Apache word. In real life, Cochinay was an Apache chief. 2. John Marston has never seen the place before 1911. So the gang doesn't visit it during the events of RDR2. That would have to happen after John deserted them. 3. It's an actual working mine, but none of the Apaches work it. (We Indians don't mine. Or do much manual labor in general. Just sayin'.) Instead, there's a handful of "insane miners" left who apparently joined Dutch's gang, and still work the mine and nearby Nekoti Rock. 4. Nastas says Dutch has been recruiting natives from nearby reservations. We've never seen any evidence of those reservations anywhere in RDR1, but maybe we'll see them in RDR2. 5. Apaches don't belong in Cochinay. Apaches are a desert tribe; they live in the southwest US and across the border in Mexico. They don't live in snow-capped mountains, and would hate that environment in Tall Trees. Blackfoot, Cheyenne, Paiute, Crow, Shoshone, Lakota...all these would be likely natives of that region. I have no idea how Rockstar could have got the rest of the Apache story right but totally miss their environs. B. A mining complex. Have no idea who owned it, or what they were mining, or how big an operation. For gits and shiggles, let's pretend it's a Cornwall mining camp. Wouldn't THAT be fun?! C. Dutch's New 'N' Improved Gang shoots it out with the miners, offers mercy to any who agree to join his gang, and sets up a hideout -- his final one -- inside the mine. Dutch renames the place Cochinay after an Apache chief, maybe one who died saving Dutch's life during one of their running gun battles with the miners and/or the Mexican Army. But life in Cochinay is harsh...Death, desertion, starvation, disease, frostbite begin to take their toll on the gang. By 1911, the handful of survivors take to raiding Blackwater and other areas inside West Elizabeth just to stay alive. Until Edgar Ross catches up with him....and he's using John Marston as his deputized bounty hunter. You mean Black ops has a fan base? Guess it is true you do learn something new everyday. If Rockstar are truly creative then they will fill the plotholes, make the connections and take the time to tell a thorough and complete story. Unless they plan on making a third game about this gang. Ask yourself why is John getting off a ferry at the start of RDR? Did he just come from Saint Dennis? Why is Beechers Hope and Cochinay on the map if it's just Arthur's story? There's a gang hideout in Cochinay, so if the gang took over Cochinay in 1899 then why the hell does John have no clue about Cochinay when he goes there in 1911? Who shot John? Are you seriously not curious in the slightest? Rockstar didn't have to think of answers to these questions at the time, but now they must feel at least obliged to answer some of these questions. If its a true companion piece then I feel the connections have to be made. The reddit leak that exposed Arthur's story and the gang camps years before they were officially revealed said at the end you play as John Martson and you build up his ranch. You even build a gazebo. Honestly, that's damning evidence, because either rockstar developed all these end game missions around Beecher's hope in RDR 2 for a lark, or the plan was always for the game to jump forward in time. So either that's exactly what happens, or Rockstar have dramatically changed the ending/epilogue during the last few years of development. You gotta remember RDR is a period piece, it's not like GTA today that is fully intertwined with the modern world. Rockstar can play with the time-line as much as they need to and the story will hopefully be better for it. Rockstargames are alot more creative to just use everything we know of john Marston already to just show it in RDR2. some things are best left to the imagination or lore. Ending the game seeing john Marston getting shot..AGAIN for like the 5th time is going to be absolutely trash idc. That clear example of sh*t story telling. 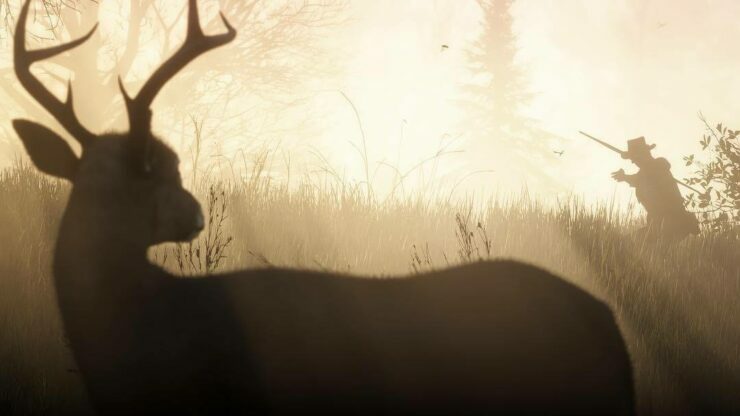 Hunting is going to be even more in depth too this time which just adds to the hype even more for me. 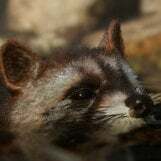 Animals rotting and attracting other predators is freaking so cool and other NPCs trying to attack you to steal your meat, furs and stuff... The way one preview mentioned that a deer made a gut wrenching cry out (that you almost felt bad for the deer) after Arthur shot at it with his bow & arrow and watching it limp away but ended up falling to the ground said one guy watching the whole thing play out is something intense. Animals feel more real this time. Reading that gives me goosebumps. I can’t freaking wait! And... we can freaking crouch again people! CROUCH! I’m sure there will be a stealthy approach thrown in there too probably along with crouching. Just as in the deck of the "Collector's Box" there will also be Artworks of all the important characters in the gang. I just hope Rockstar will release this soon. I need new wallpapers.